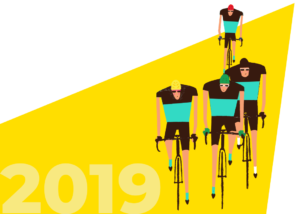 The 2019 Tour de France will be the 106th edition of the Tour de France, one of cycling’s three Grand Tours. 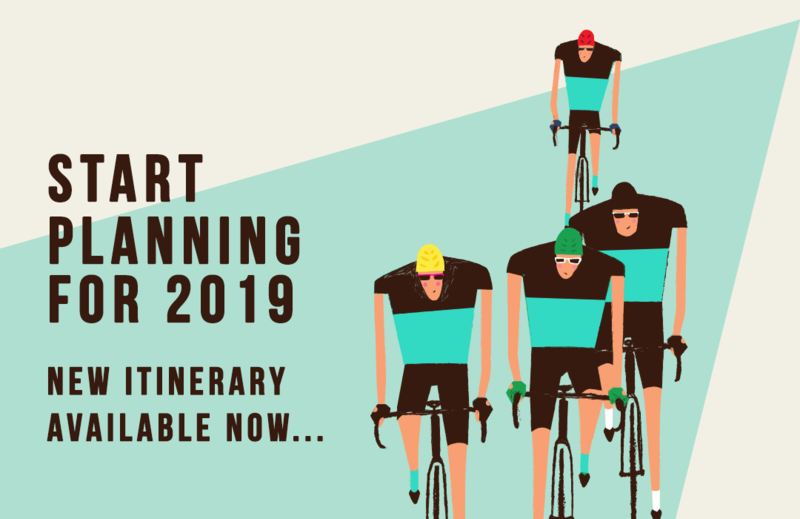 With a group limited to 13 places only, this will be a tour for riding and relaxing and following Le Grand Boucle without spending hours every day waiting for, and chasing the race. With a small group you’ll receive personal and attentive care for the length of the tour. 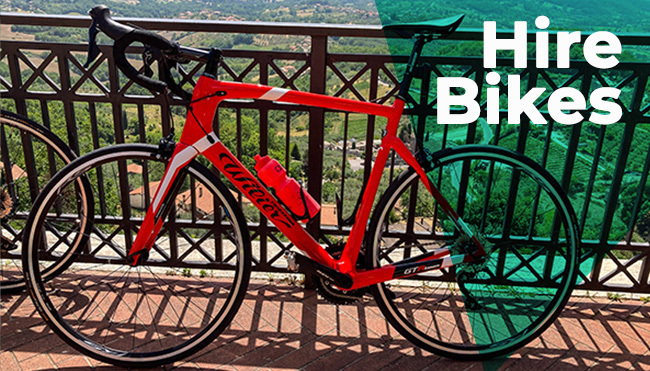 Rides will average 60-100k, along with >1000m vertical, per day. Extra k’s available on request! 11.00am, we’ll meet at Toulouse railway station before we transfer to our accommodation in Arreau (drive 2h). After everyone arrives and we have assembled bikes, we’ll head out for a ride over Horquette d’Anzican, and return over Col d’Aspin. We’ll be back at our hotel to watch the finish of the Pau to Pau individual time trial, live on the tele. 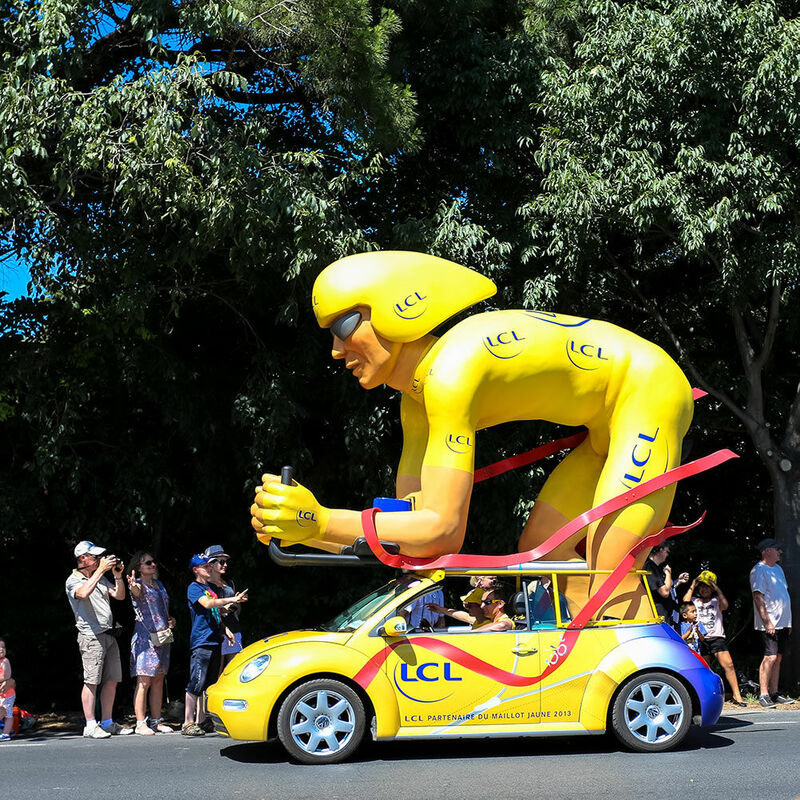 Christian Prudhomme’s comment: The only individual time-trial of the 2019 Tour will take place in Pau that has already welcomed two time-trials in the past: in 1939 (victory of Swiss Karl Litschi) and in 1981 (victory of Bernard Hinault). A powerful all-rounder, comfortable when the road rises could, like Hinault, seize the opportunity to capture the Yellow Jersey. 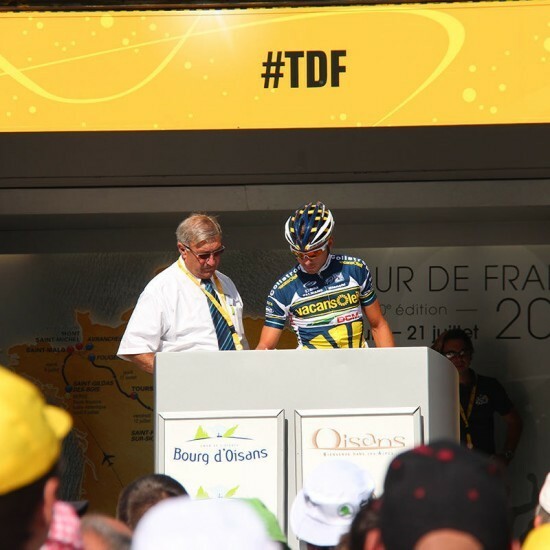 A very special collector’s jersey that day marking the 100th anniversary of the Yellow Jersey. ‘Logis de France’ Hotel, with spa. Terrain: One and a half big climbs, with steep parts. Excellent views of the Pyrenees all the way. Cracker of a stage today, or at least the final climb to the top of the Tourmalet will be. These ‘short’ stages make for aggressive racing. 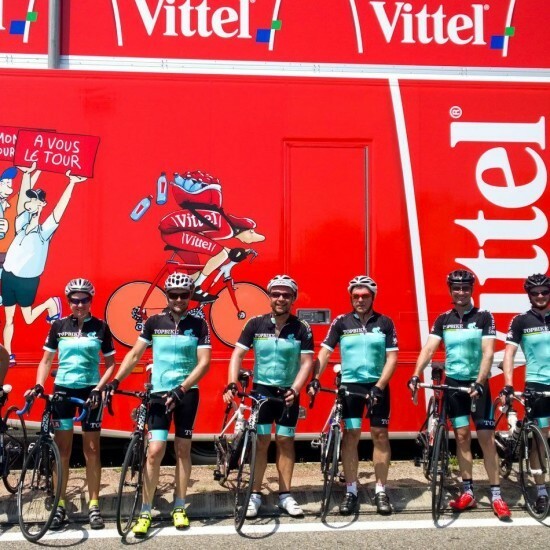 As for us, we’ll be riding 40k, to the top of the Tourmalet, from the other side. We’ll head out of Arreau, before riding up and over Aspin, which will lead us to the base of the Tourmalet. The top of Tourmalet is over 2100m, so it’ll be a good idea to take some warm clothes, as the weather can change pretty quickly up there, even in late July. Post race we’ll return to our hotel in the Topbike van, over Aspin. Tonight we’ll again dine inhouse. Christian Prudhomme’s comment: The 2000m mark will force the riders to enter into a new dimension. 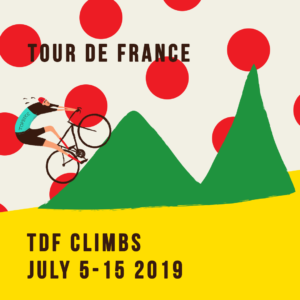 They will reach it just before making it to the Col du Tourmalet, by this time the battle between the best climbers should be at its most entertaining. On a rather intense format, the stage will, before that, feature another climb: the Col du Soulor. Terrain: Three significant climbs, if you don’t ‘action’ the lift home over Aspin. We’re moving house today, for our only one nighter of the tour. Heading east, but still in the Pyrenees, we’ll be aiming for Couiza, which is on today’s stage route. Once we arrive we’ll get out on the bikes and head for a roadside viewing. We could aim for the first KOM of the day’s stage, Col de Montsegur at 1059m ascent, but that will all depend on timing. Back to our chateau tonight, where we can dine in, after a quick dip in the pool and maybe an aperitif. Christian Prudhomme’s comment: TV viewers will make the best of this day to enjoy and discover the Cathar castles. The riders will be more focused on the new climbs on the day’s course: the Côte de Montségur as an appetiser and the finish at Prat d’Albis, after a 12-km climb at an average of 6.9%. And that will bring the total to 4 700 metres of elevation. 400yo Barons house converted into a Hotel. Terrain: A couple of small hills to start before a good 50k across the plains, followed by a final climb up to 900 metres, and descent. A beautiful scenic ride, along many a Michelin highlighted road. Nimes is hosting today’s start AND finish, and is a little more than 30k away from Sommieres. The parcours loops around to the north of Sommieres, so we have a few options today. 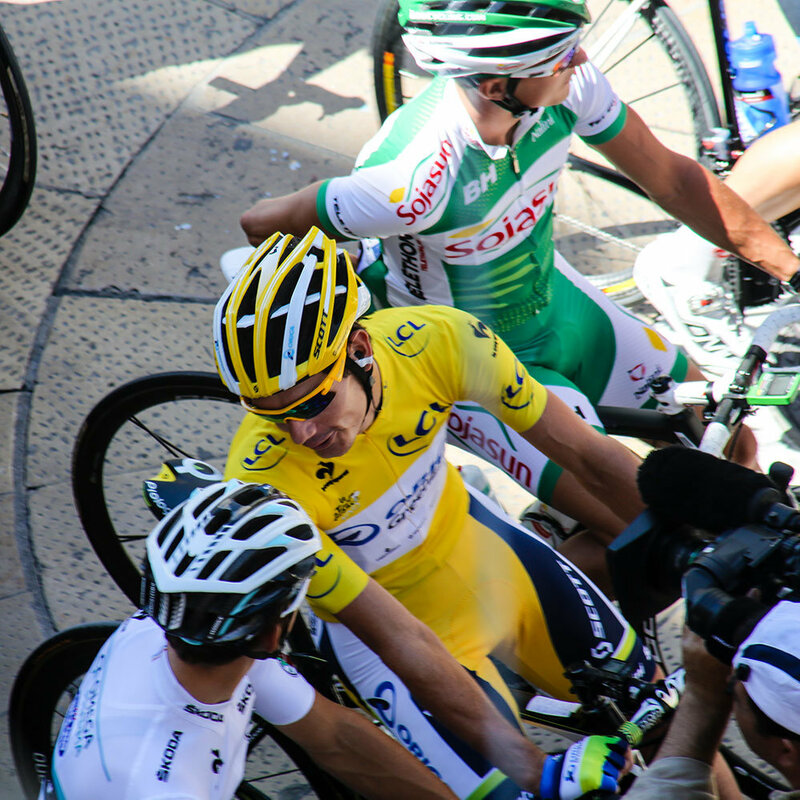 We can choose to see the start and/or finish, or a roadside view, a sprint, or even visit the feedzone. The choice will be ours. Post stage we’ll make our way back to Sommieres and dine inhouse once again. 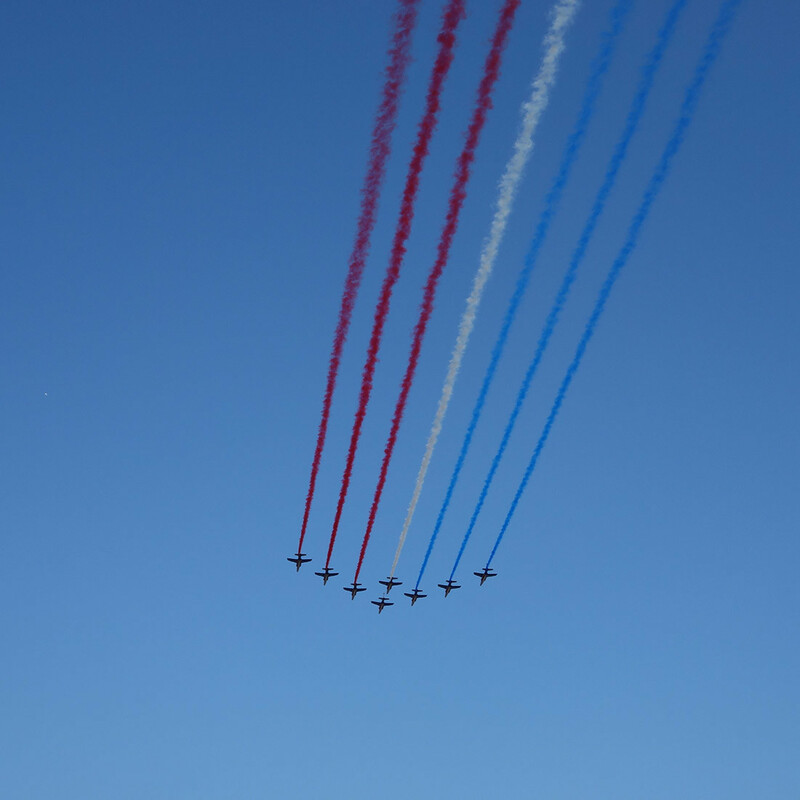 Christian Prudhomme’s comment: Following a rest day, the day’s loop will be entirely taking place in the departement of Gard and the peloton will have the very special privilege of riding on the Pont du Gard. The escapees that will show up on the famous Roman viaduct should be under the careful scrutiny of the bunch. A bunched sprint in Nîmes is likely. Terrain: beautiful scenic ride through the Pyrenees, aiming for some hills towards the end, max elevation of 1349m. 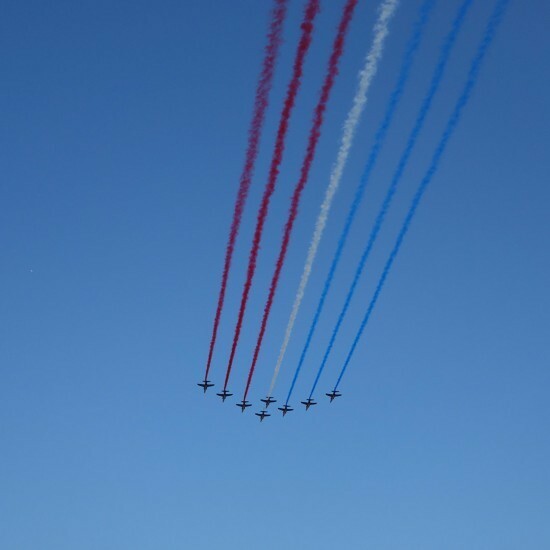 Today we’re moving on, so we’ll skip race viewing and take the opportunity to ride the Giant of Provence, Mont Ventoux. We will pack up and leave after breakfast and drive to Malaucene (135k, 1.5h). Starting from here means we’ll have a little warm up into Bedoin, before we commence the infamous 20k climb. Although the initial kilometres amble gently through the grapevines, before the shady forest envelopes us, it’s not long until we are on the bare and exposed upper moonscape parts of the climb, that we all know so well from the TV coverage we have watched over the years. 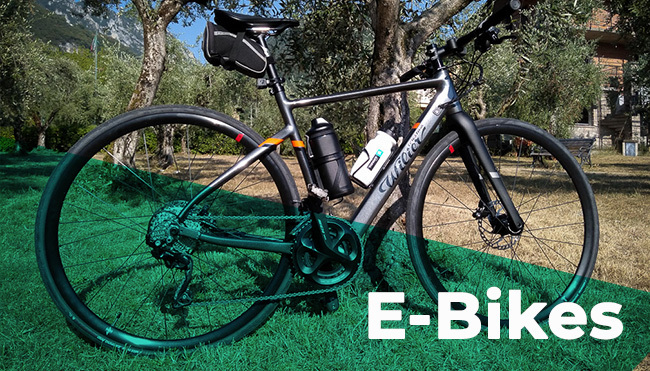 Nothing compares to riding it though, under a hot Provencal sun. Post ride we’ll be in the Topbike Vans, and heading for Bourg d’Oisans, in the heart of the alps, and at the base of the most famous climb in cycling, Alpe d’Huez. Here we’ll bed down for 4 nights. Not forgetting to watch the end of todays hilly stage, live on the tele, at some point. Christian Prudhomme’s comment: The theme of Antiquity will be respected as we go through the Rhone valley and visit the theatre in Orange and pass through Vaison-la-Romaine. But the breakaway riders that will be at the front that day will mainly need to focus on their strategy when they take on the climb up to La Sentinelle with under 10kms to go. Traditional local French cuisine, home-cooked. Today’s final mountain peak, the Col du Galibier (2642m), is 50k up the road from our accommodation, and the Col du Lauteret (2058), just 40k. Either col will be a good vantage point to see the complete peloton pass. Today, Galibier is third in a row of peaks over 2000 metres, so the field will be spread out for miles. The descent to the finish in Valloire is but a blip of time, so the order the riders go over the final peak will likely be similar to the final order across the line. 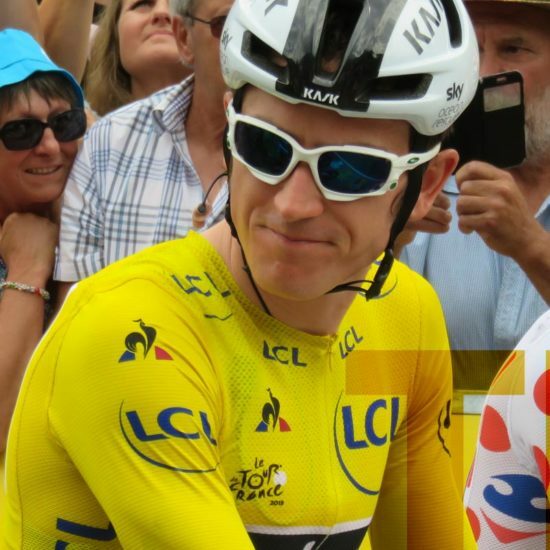 Christian Prudhomme’s comment: Climbers will have an opportunity to express their talent in the high mountains of this first big Alpine stage where they’ll be above 2000 metres in altitude in three different locations… which is extremely rare on a stage for the Tour de France. 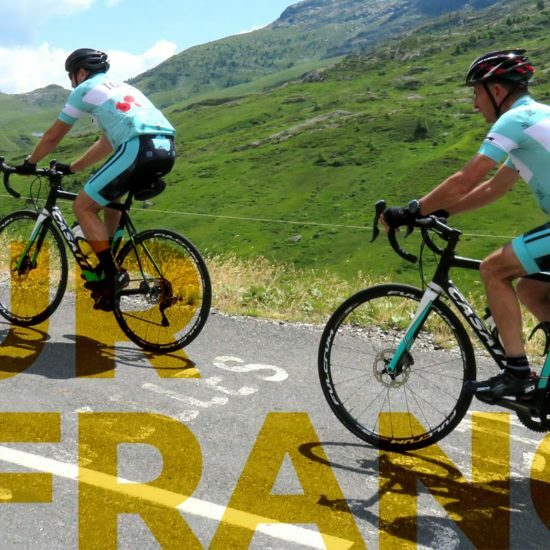 For the occasion, the day will include climbs up Vars, the Izoard and the Galibier! Terrain: One big climb out, followed by a big descent home. 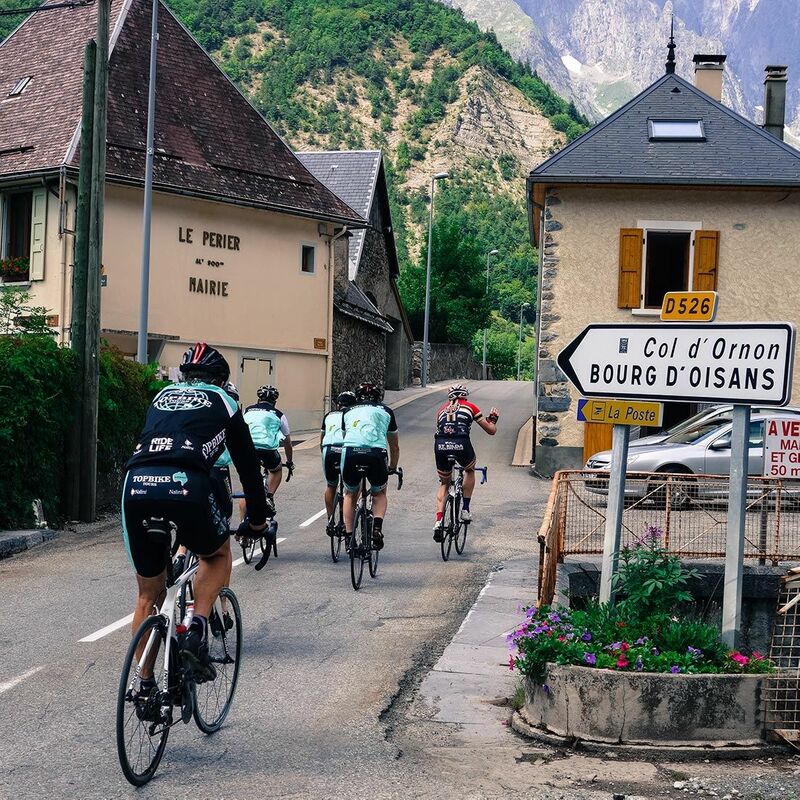 Today we have a couple of choices, if we want to go to the start, we simply climb up and over the Col du Glandon - which is lot easier to write, than ride. The good news is that we will be able to have a support vehicle there, for the return ride. Alternately, after Glandon, and visiting the start of the stage, we can continue up the valley, turning right at Valloire up the Col de Telegraphe, which leads to the other side of Galibier (to what we visited yesterday). If we get to the top of Galibier, it’s 50k downhill back to Bourg d’Oisans, making it a total of 160k, if you do the full loop. NB That is a loop not to be under estimated. 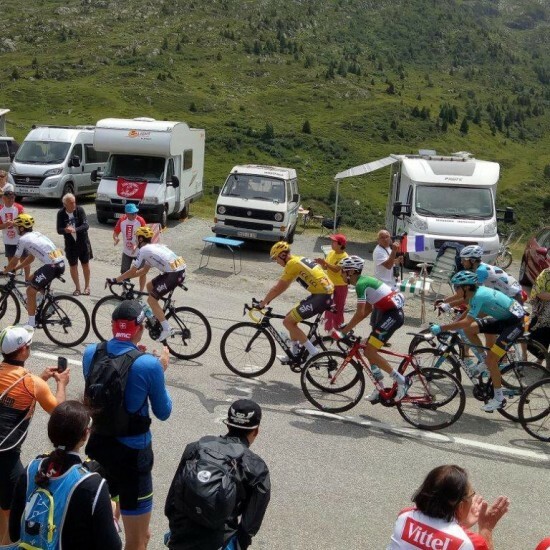 Christian Prudhomme’s comment: The journey through the Alps continues with a dynamic stage that will take the riders to the summit of the 2019 Tour at the Col de l’Iseran (2 770m) that will only be reached for the eighth time in the history of the Tour and the second time by its south side which is the toughest one. 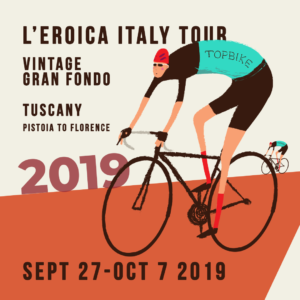 It is precisely when going up towards the highest road pass in Europe that Louison Bobet had bid farewell to the Tour in 1959 but also where Claudio Chiappucci took off before winning in Sestrières in 1992. 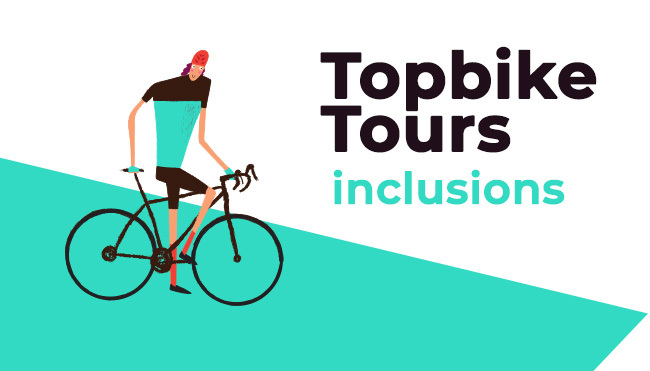 Terrain: 3 big climbs, Glandon, Telegraphe & Galibier. Massive! Today while the peloton has its final alpine stage to the north, it’s our day to have a crack at Alpe d’Huez. The most famous climb in cycling, with 14k and 1100m vertical. Once on top we can continue on over Col de Sarenne, and make a loop back down the valley of Oisans. So it’s possible to have another crack, if anyone is keen? Probably one to call on the day. Christian Prudhomme’s comment: The last alpine stage will be a grande premiere: it will indeed be the third finish above an altitude of 2000 metres, which has never occurred in the history of the Tour. 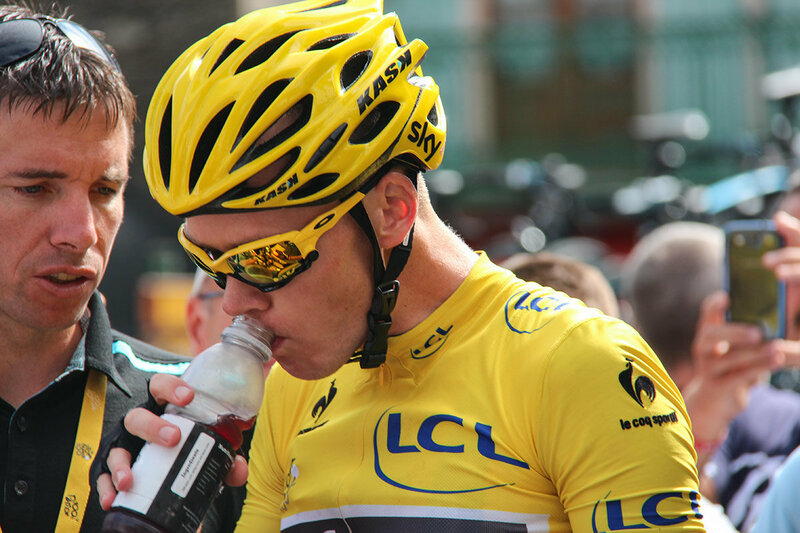 Before the final climb to Val Thorens, a first battle should take place at the Cormet de Roselend. The total ascent of the day will be 4 450 metres. Terrain: Beautiful scenic ride, over the plains of central France. 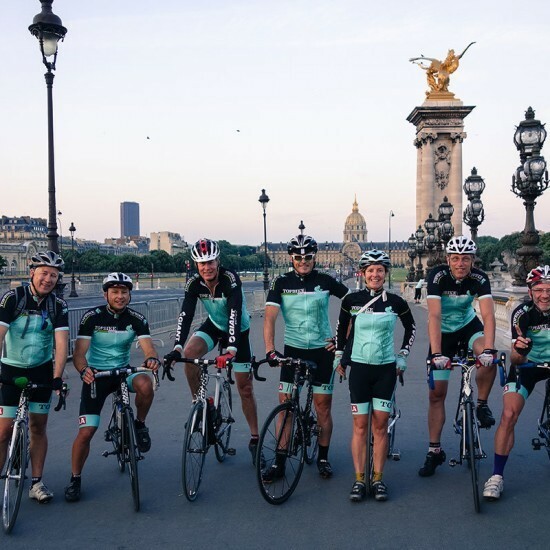 We’ll be up early, to start the drive up to Paris (6.5h, 628k). After arriving at our hotel, located less than 500m from the Champs-Élysées, we can promenade up the road to view the ultimate spectacle, the end of the three week race that laps a nation (and the only sporting event that you need to get a haircut during the course of). 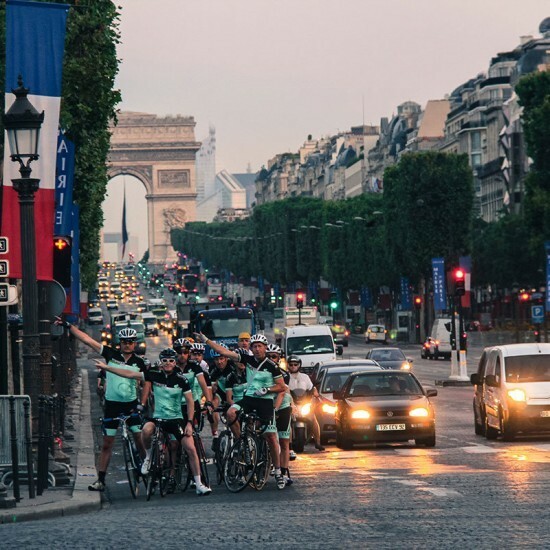 It culminates with its final laps on one of the world’s most famous boulevards, as the sprinters have their final battle, and hopefully it will be another win for the Aussies. Dinner locally tonight, in our regular Parisian restaurant. 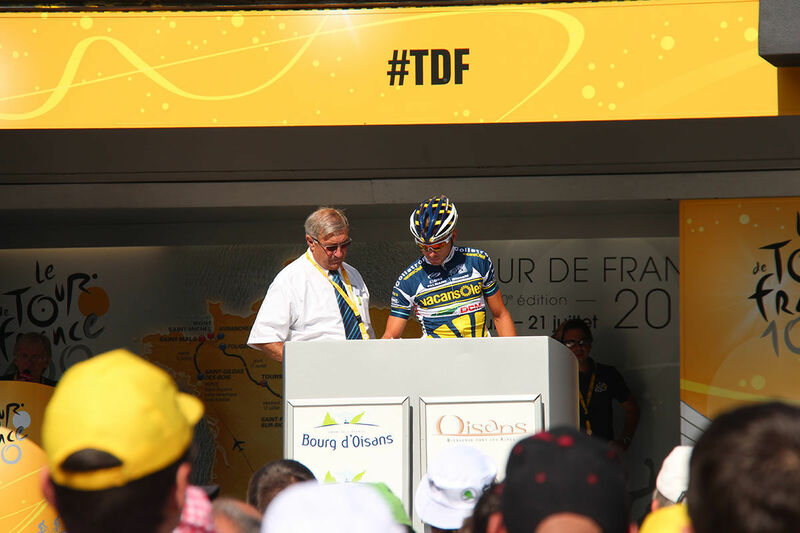 Christian Prudhomme’s comment: The Yellow Jersey is traditionally often solidly settled on the shoulders of the final winner at the start of this last stage, but for the sprinters who dream of triumphing on the ChampsÉlysées, it’s the opportunity to take on one of the toughest challenges of the year. The hills of the Chevreuse valley could also play a role in giving out decisive points for the polka-dot jersey. Excellent Parisian Restaurant we have used for 10+ years. Monday, July 30: Day 11 | PARIS - "Au Revoir!" 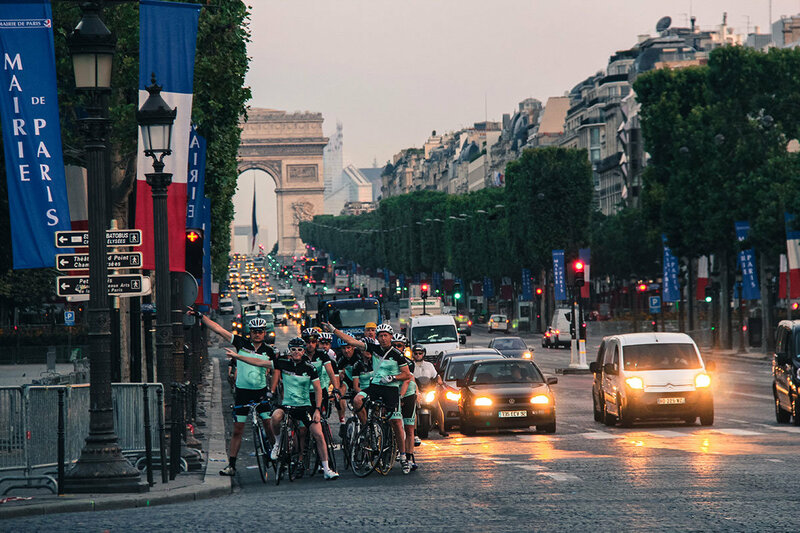 We’ll have an early start, hitting the road for a brisk morning’s ride around Paris. The best way to see this beautiful city, all before breakfast. We’ll take in the Arc de Triomphe, Place de Concorde, the Louvre, Eiffel Tower, Notre Dame, Montmarte, Sacre Couer and a coffee at the bar where the movie ‘Amelie’ was filmed. Back to our hotel for breakfast, before packing up and onto further adventures. 7 Days of race viewing, incorporating a variety of stage starts, stage finishes, roadside viewings and KOMs. 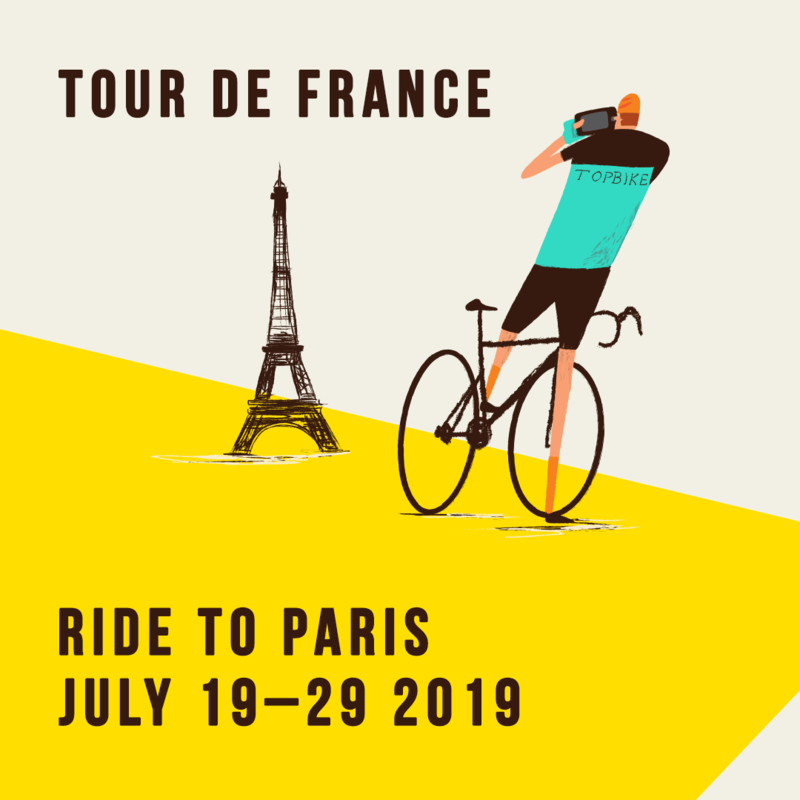 We’ll also have ridden up to 1000k, climbed many mountains, including the famous Tourmalet, Peyresourde, Aspin, Ventoux, Alpe d’Huez, Glandon and Galibier amongst many others. I think that’s enough for anyone! After enjoying breakfast together, for all of those not staying on, it’s pack-up time and off to further destinations, au revoir. 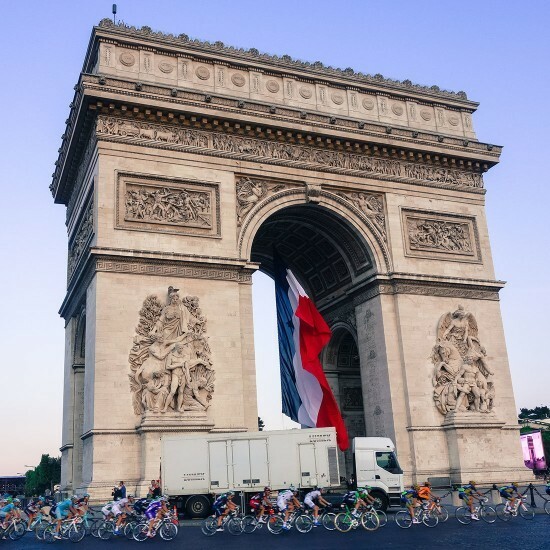 With the Grand Départ from Brussels on Saturday July 6th with its conclusion on the Champs-Élysées, Paris on Sunday July 28th 2018, the 106th Tour de France will be made up of 21 stages and will cover a total distance of 3,460 kilometres. 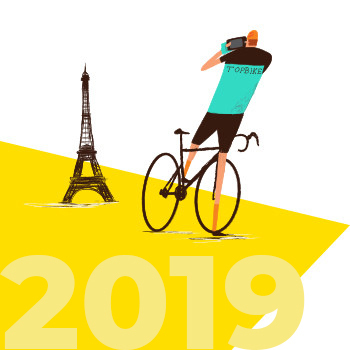 The 2019 Tour will go through two countries, Belgium and France. It will visit the three Belgian regions (Bruxelles-Capitale, Flanders and Wallonia) and 37 departments of France. individual for stage 13 in Pau on a distance of 27kms. 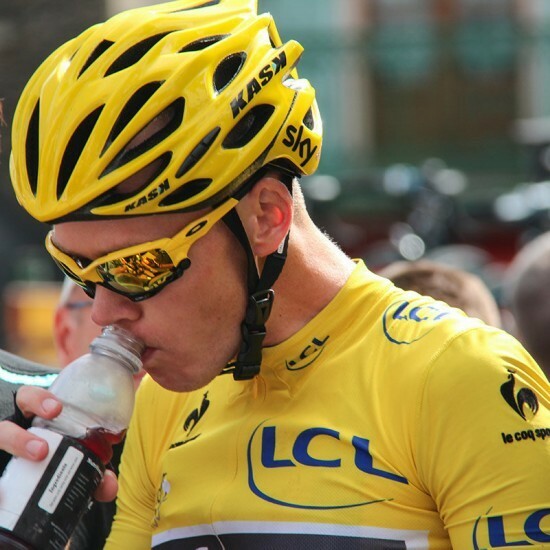 It’ll be on Friday the 19th of July, a date that marks the 100th anniversary of the Yellow Jersey.